Anthony Cirone, former percussionist with the San Francisco Symphony and Indiana University Professor of Music, provides a comprehensive performance analysis of snare drum parts for the major symphonic repertoire. His easy-to-understand explanations are based on countless performances under many of the world's finest conductors. This volume includes parts for practice and performance. Former percussionist of the San Francisco Symphony and Indiana University Professor of Music, Anthony Cirone provides a comprehensive performance analysis of cymbal parts for the major symphonic repertoire. His in-depth explanations are based on countless performances under many of the world's finest conductors. This book includes parts for practice and performance. Principal Percussionist of the San Francisco Symphony, Chairman of Percussion Studies at the San Francisco Conservatory, and faculty member at the Colburn School of Music in Los Angeles, Jack Van Geem provides a comprehensive performance analysis of keyboard percussion parts for the major symphonic repertoire. His detailed explanations are based on countless performances under many of the world's finest conductors. This book includes parts for practice and performance. Engraved and edited by Anthony J. Cirone. 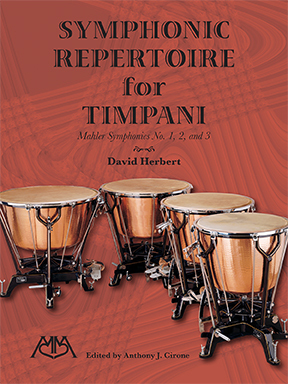 Principal Timpanist of the Boston Symphony, Head of the Percussion Department at Boston University, Boston University Tanglewood Institute, and Section Leader for the Tanglewood Music Center, Tim Genis provides a thorough performance analysis of percussion accessory parts for the major symphonic repertoire. His explanations are based on countless performances under many of the world's finest conductors. Engraved and edited by Anthony J. Cirone. Former Timpanist of the Philadelphia Orchestra and Indiana University Professor of Music, Gerald Carlyss provides a comprehensive performance analysis for the timpani parts of Beethoven's nine symphonies. His useful explanations are based on countless performances under many of the world's finest conductors. This book includes complete parts for practice and performance. Engraved and edited by Anthony J. Cirone. Former Timpanist of the Philadelphia Orchestra and Indiana University Professor of Music, Gerald Carlyss provides an extensive performance analysis for the timpani parts of the Brahms and Tchaikowsky symphonies. His practical explanations are based on countless performances under many of the world's finest conductors. This book includes complete parts for practice and performance. Engraved and edited by Anthony J. Cirone. Former Timpanist of the Philadelphia Orchestra and former Indiana University Professor of Music, Gerald Carlyss provides a comprehensive performance analysis for the timpani parts of the 4 Schumann Symphonies. His exhaustive explanations are based on countless performances under many of the world's finest conductors. Due to the many errors and incorrect pitches contained in the original parts, this work is of critical importance. The author states: "While a student at The Juilliard School of Music, I studied and learned the Schumann symphonies with Saul Goodman." At the suggestion of many of the world's finest conductors, including Arturo Toscanini, Goodman made many changes to the timpani parts of Schumann's symphonies during his long tenure as Timpanist with the New York Philharmonic. These important changes and corrections are reflected in this edition which includes complete parts for practice and performance. Engraved and edited by Anthony J. Cirone. David Herbert has been appointed Principal Timpani of the Chicago Symphony Orchestra. He has also served as Principal Timpani of the San Francisco Symphony since 1994 and as Principal Timpanist with the Aspen Festival Orchestra. He has nearly three decades of experience performing and recording all of the Mahler Symphonies, including international and domestic tours and critically acclaimed recordings. Engraved and edited by Anthony J. Cirone.